Many thanks to Matt Thursfield and Mike Taylor for sending reports. Thanks to Steve Greenwood for the great pics. More are in the gallery here and on his flickr site here. For downloads, please donate to the Andrew Simpson Foundation here. 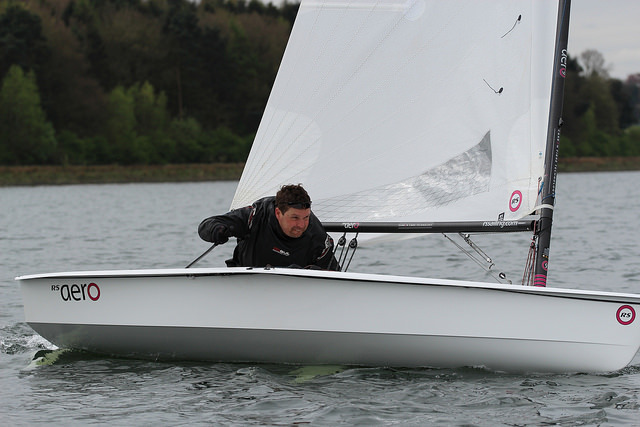 The weekend of 25th/26th April saw the Start of Seasons for the RS Aero Fleet at Northampton SC, sailing alongside the 80+ strong Tera Sport & Pro squads. Forecasted for the weekend were two days of ideal sailing; Saturday at the higher end of perfect, Sunday, the lower end; and that is what we got, 15mph gusting 25 for the first four races, Sunday’s sailing saw the lighter airs from the North saw 8 – 12 mph, with 20-45 degree wind shifts. 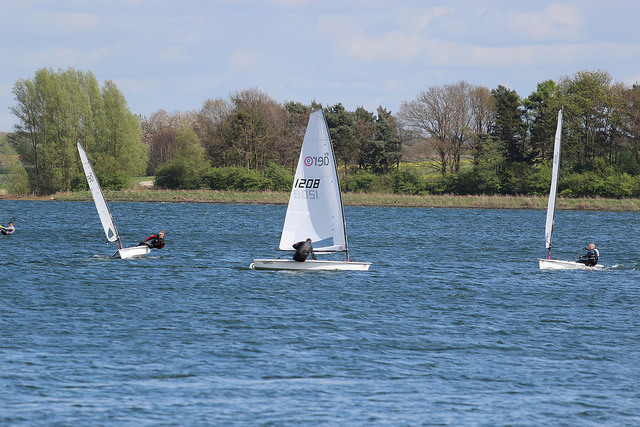 Some of the photos of Saturday’s racing from the Pro-photographer showed what an excellent day’s sailing we’d had; a trapezoid course with a few windward-leewards to get those runs in order. The discussions from the day were all about Kicker, how much is too much? (if there is such a thing as too much). The lightest man in the 9 rig, Mark Lucas was the fastest over the windier day - he was cranking it on and leaving it locked. 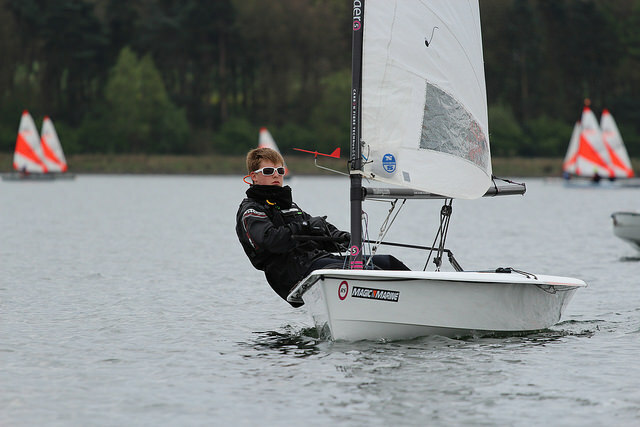 It was however the Aero 5s who were taking many of the leading slots come Saturday evening. Will Taylor & Ffinlo Wright, part of the successful Aeronaut Youth Squad, were able to depower and be in full control, giving them consistently good results. Dave Batchelor was leading the 7-rigs, Mark Lucas the 9s. Sunday saw the very different breeze and with it much closer boat on boat racing; it was more about tactics and boat speed rather than survival and depowering. Raising their games in the more manageable conditions were Matt Thursfield, Richard Watsham & Ed Storey in 9s & a 7 rig respectively. Four more races were delivered by the ultra efficient Northampton race team. 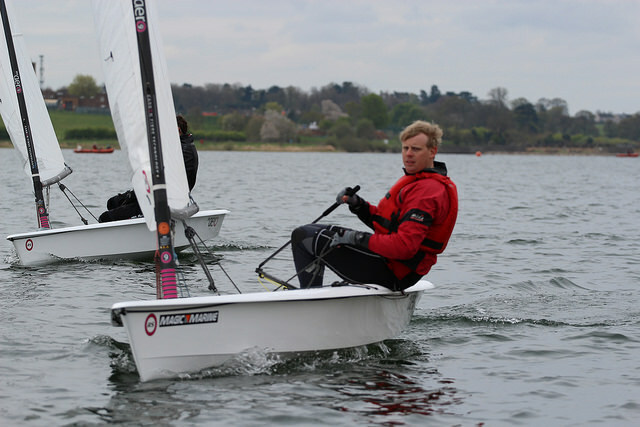 Ed led the fleet around for much of races 6 & 7 to make up for the challenges of Saturday’s wind – those kicker conversations made a huge difference to Ed’s speed around the racetrack. By the end of the 8th race of the weekend, the fleet came ashore, all of us having learnt a huge amount about what works and what doesn’t. 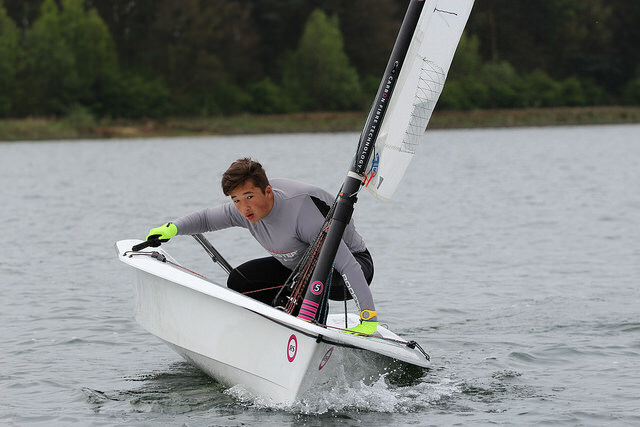 With the contrasting conditions over the weekend, it was real test of Aero sailing. Winning this inaugural event was ex Tera World Champion, Will Taylor, from Brightlingsea holding on to his overrnight lead. Matt Thursfield came through to take 2nd, Mark Lucas third. 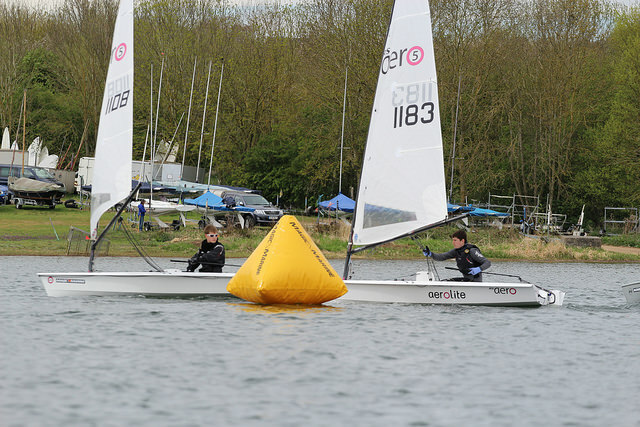 Some great prizes were handed out to the top four along with a couple of spot prizes, Maggie Dunn and Charlie Pearce for their endeavour on the Windy Saturday. Our thanks to Magic Marine for their generous sponsorship and their supporting of the event. Full results are available here. 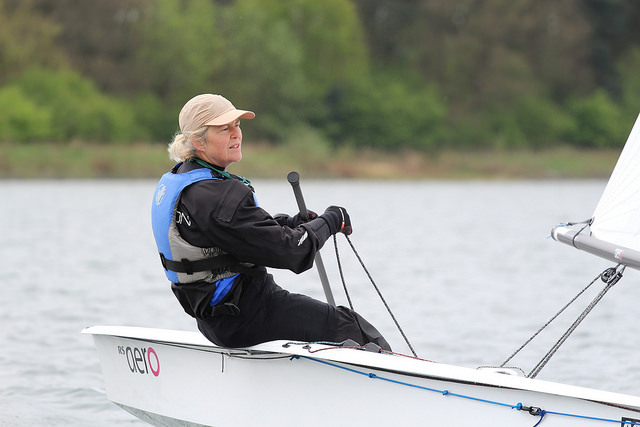 Huge thanks must also be passed on to Lucy and the Tera team for the outstanding organisation of the event, to Neil Barford and his on the water team’s impressive race management and the hospitality of Northampton SC who just always make it work. 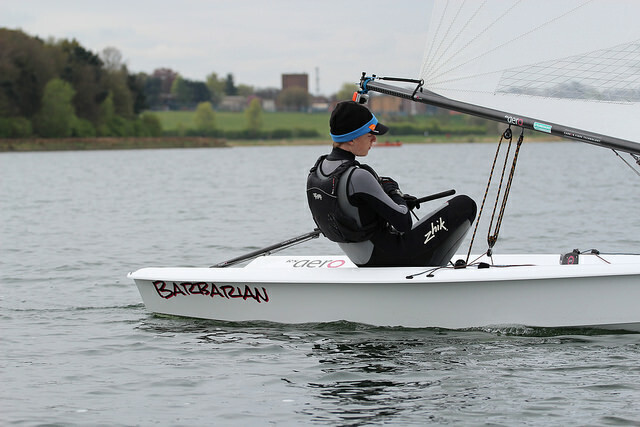 The next RS Aero Events are at Bewl Valley on 2nd/3rd May, followed by the 1st Round of the 2015 UK Series Travellers Circuit at Chelmarsh SC on 16th May. 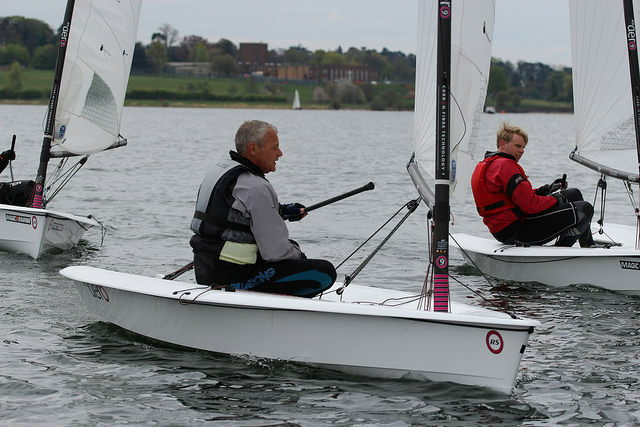 Check out www.rsaerosailing.org for more on what’s happening with the RS Aero Class.